Convert your conventional walls to work of art Obscuring the line amongst outline and craftsmanship, Indian Fusion by Krsna Mehta offers rich tapestry to wall decors. Step with us into an elegant lifestyle. We help you recognize your walls and liberate them from their old worn-out look to a renewed speculative one. Marshalls has created fashion revolution for walls. 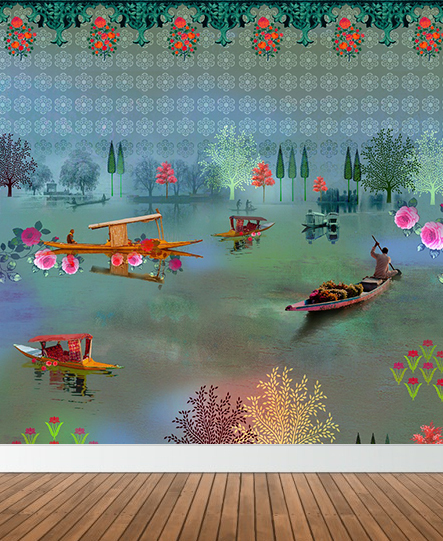 Our imaginative and unique designer wallpapers are a substantial masterful explanation to art and décor. Each wallcovering is one of its kind to put forth remarkable and convincing satisfaction. 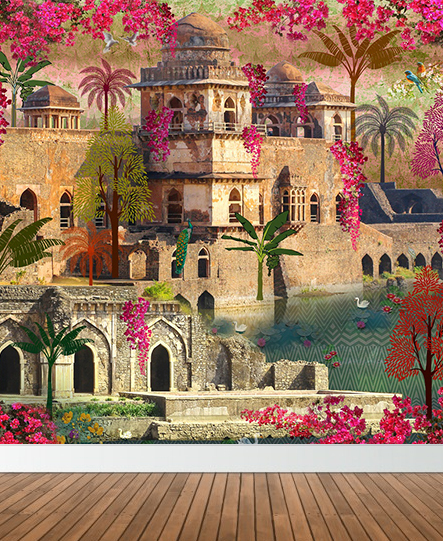 Obscuring the line amongst outline and craftsmanship, Indian Fusion by Krsna Mehta offers rich tapestry to wall decors. Krsna Mehta and Marshalls has drawn a few drops from the vast ocean of Indian art and has revolutionized wallcovering designs. 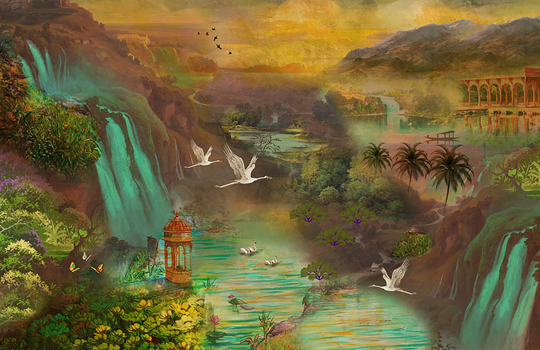 You have the freedom of decorating your walls your way. We encourage you with aesthetic sensibilities, ranging from slices, nature, breathtaking monuments, 3D graphics, corporate mantras, religious leanings, cartoon characters, and much more. Our wallcovering unveils the elegance in living space. 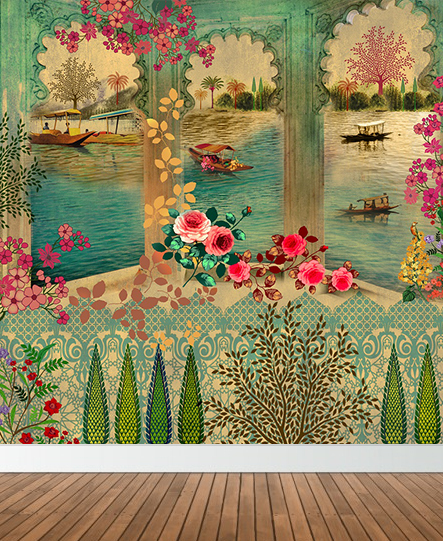 Our varied range of wallpapers adds an innovative and contemporary experience in your lifestyle.